«This was the brush of my deepest desires; I love shimmers and metallics but only when I can entirely control the placement and application, this shape is able to pick the toughest products then build the intensity only where it’s required. Pick the product with the flat side using very short, almost in place zig zag strokes, tap excess, then use similar movements to place the colour on lid, start where you need the most intensity then extend the application. 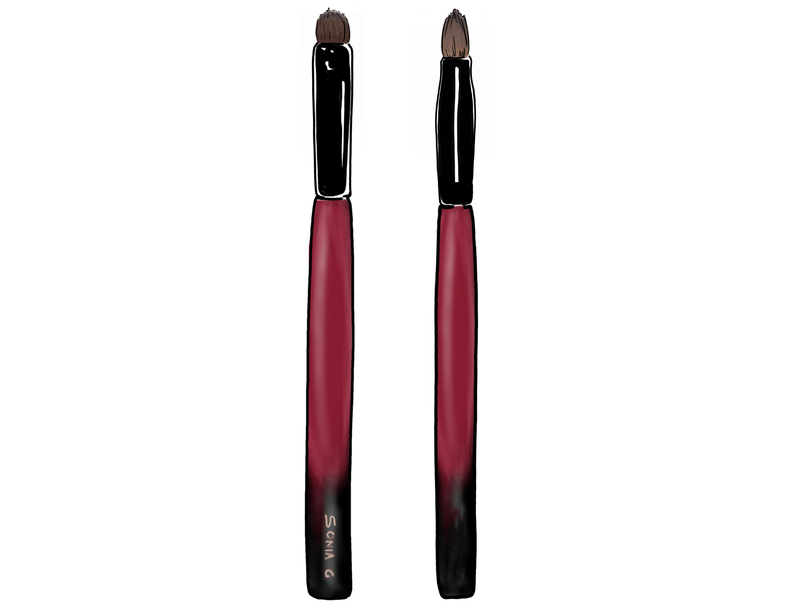 Use the tip to define the lashline, to smudge or to wing out the application.